Cobs was born from the enthusiasm, one might even say, obsession, of one man, Alan Ackroyd. A self-taught baker, he worked six nights a week, for fifteen years making fresh, additive free bread. Meanwhile his wife Sarah ran the office and dealt with customers. When retirement beckoned the business was set to close down. Fitzbillies had been a longtime customer of Cobs, using dozens of our soft white baps each day to make their legendary bacon rolls. So, rather than see the business close, Fitzbillies stepped in to save the delicious bread and the remaining bakers’ jobs. We continue to bake many of Alan’s recipes: the traditional white, wholemeal and country malt breads; and his delicious Super Seedy bread. The Cobs bakers have been joined by new head baker, Paul White. 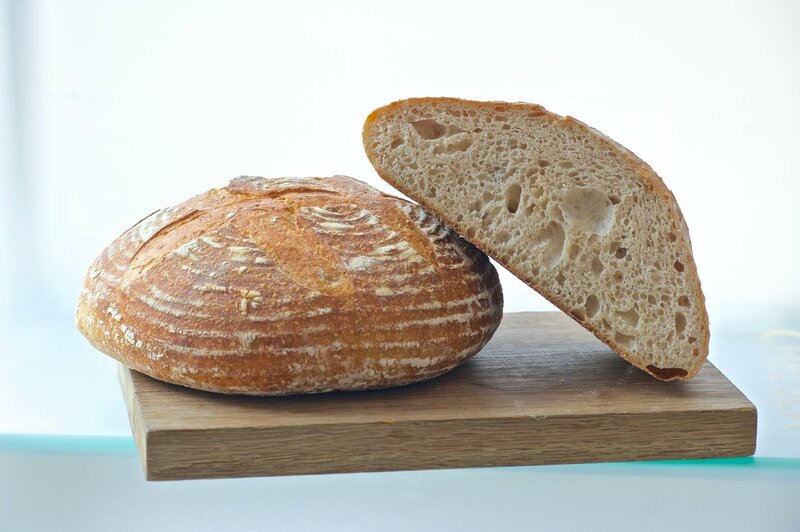 He brings many years of experience at the award winning Hambleton Bakery and has developed and improved the sourdough recipes.